DeLeon Judo was founded by Jim Santiago Deleon January 1970, over 40 years ago. He has produced number of National and International competitors who were very successful. Beginning in 2007 Sensei Henry Kaku has taken over the Head Instructor after Jim Deleon retired. Since then the club has earned over 50 top 3 finishes in local and regional tournaments in just 2 1/2 years of competition and a two time Jr. National Champion. Classes are held Tuesday and Thursday evenings 5:30 pm - 7:00 pm for all students. Classes from 7:00 pm - 8:30 pm are available by appointment only. We also hold classes on Monday 6:00 pm - 7:00 pm for students with more experience. Classes are held at the Kenilworth Teen Center located at 150 Fairgrounds Drive, Petaluma, CA 94954. We welcome ages 6 and up. For monthly rates, please see the Petaluma Parks & Rec. web site (https://apm.activecommunities.com/petalumarec/Home#). There are discounts for multiple family members wishing to join DeLeon Judo Club. 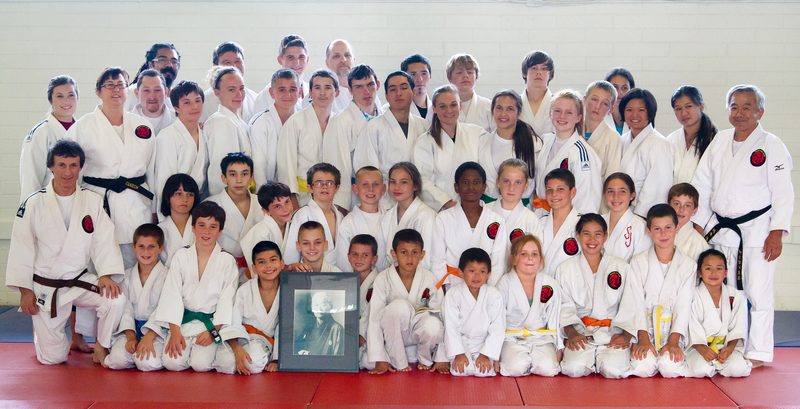 Our mission is to impart to our students not only the physical skills of Judo, but its philosophy and traditions. Judo, or "The Gentle Way" is a martial art developed by Dr. Jigoro Kano which makes use of the principles of leverage, balance, movement and making use of the opponent's strength. It uses the opponent's power and weight to work against him and thereby to subdue him. A good Judoka never anticipates his action in a match, but his mind is as clever as a polished mirror which enables him to foresee precisely anything to happen and he displays freedom of his physique to cope with any change.